Ramp/Soak or Profile controls are used in heat treating ovens, kilns, and enviormental chambers. 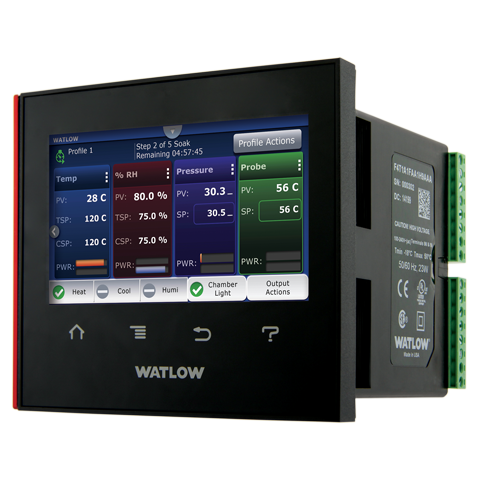 Ramping and soaking are steps used within a profile setupt in these temperature controls. They allow a user to ramp to a setpoint based on time. 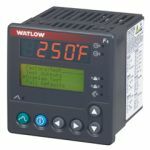 Hold that setpoint, turning on event outputs which allow for blower, fans, or other external control of the enviorment of these rooms or chambers to be controlled. The allow a user for multiple ramp and soak steps. Seagate also has datalogging software which allows for recording of these controls, logging their data for documention on how the systems process ran.